HaliSens® enables the fast and reliable determination of the concentration of hydrogen sulfide from a sample gas volume of 5 ml. 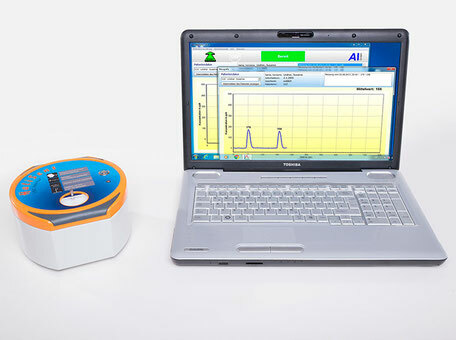 This means that the most important gas component for the characterization of halitosis is being measured and the severity of the halitosis can be evaluated. The hydrogen sulphide sensor simultaneously detects all volatile sulphur components (VSC's) which also contribute to halitosis. Professional oral hygiene products are an important part of halitosis treatment. That is why we have been cooperating with the manufacturer Cavex since the beginning of 2018, who has been offering its 3-phase oral care system against halitosis since then. Fresh4Sure supports the restoration of the balance between "good" and "bad" bacteria in a natural way. The result is a healthy mouth climate and fresh breath.